Categories: Brow Building Fibers, Hair Building Fibers. 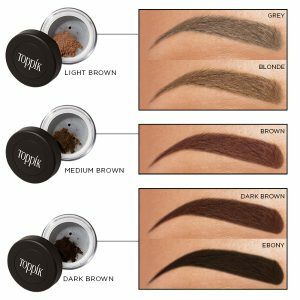 The Toppik Brow Building Fibres Set allows you to be able to give your eyebrows the appearance of depth and thickness with one easy application. The Toppik Hair Fibres used have been specifically created for the eyebrow and in turn, do a much more specialised job than the standard Toppik fibres. This 3-piece kit includes a brow wax to shape eyebrows, Brow Building Fibres and a custom dual-end brush for wax and Fibres application, making this the best eyebrow makeup for full, natural-looking brows. 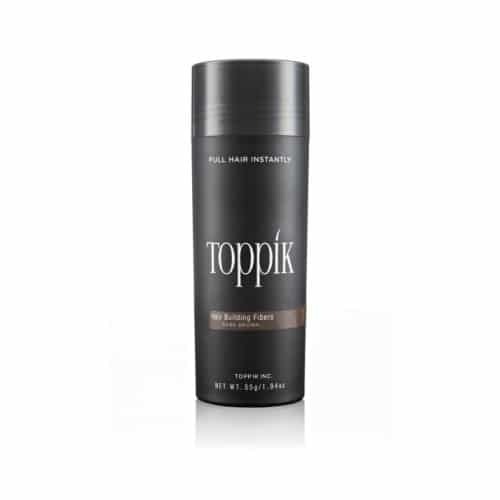 The Toppik Brow Building Fibers are superior to other brow fibres because there are two means by which the Toppik Brow Building Fibers fill in and add natural-looking fullness to even the thinnest brows – the conditioning wax and the natural static charge. It allows you to define the shape of your brows. It tames unruly brow hairs. It adds staying power and sets the shape of the brow in place. It conditions your naturally coarse brow hair, skin and follicles with nourishing Mango, Shea and Cocoa butters, Avocado and Jojoba oils. The Fibers are uniquely formulated for the eye brows. Eye brow hair is a different type of hair and has different behaviour than the hair on our heads! They fibres cling to brow hairs in the same way Hair Building Fibers cling to the hair on your head. Additionally, the wax doesn’t remove the static charge but the Brow Fibers cling to the wax when it hits them due to the emollient nature of the wax. Next, make sure you’re using the right color on your brows. If you’re going for a softer look, the fill-in color you use should be one shade lighter than your natural brow color. If you’re going for a bolder, more noticeable look, a darker brow color will make your face and eyebrows stand out more. The Brow Conditioning Wax and Brow Building Fibers are also made to help your hair and skin. The Brow Conditioning Wax is made with nourishing Mango, Shea and Cocoa Butters to condition the skin and brow follicles. Avocado and Jojoba Oils in the wax also adds moisture and helps tame unruly brows. The brow trend has taken off in the past couple of years, with thick, bold brows being the latest beauty obsession. 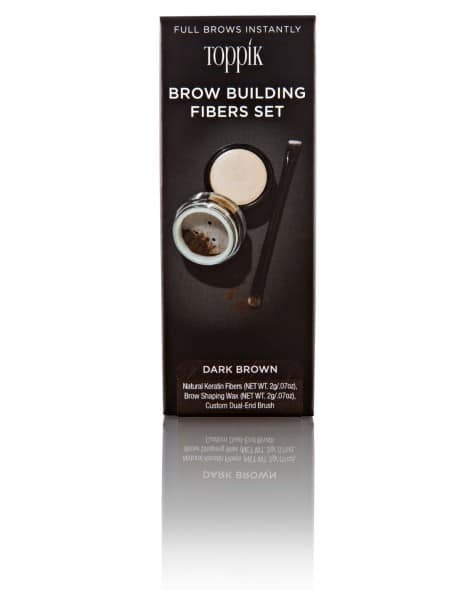 If you’ve been looking for a brow product, look no further than the Toppik Brow Building Fibers Set !